In this post I will discuss average conversion rate and benchmark average order value (AOV) for retail and travel websites according to The Wolfgang E-Commerce Benchmarks 2016 Report. 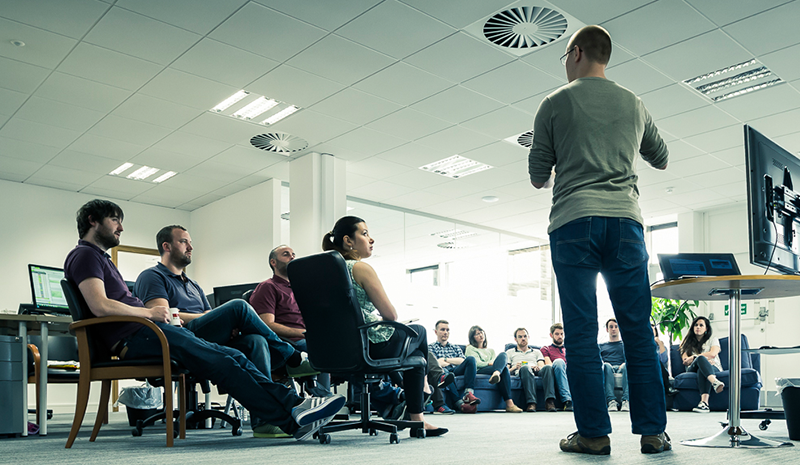 Here are the numbers you’ve been searching for, those critical conversion metrics. Retail converts at an average of 1.4%. Online-only retail converts at 2% while Multichannel retail converts at 1.1%. The reason for the multichannel retailers’ lower conversion rate is they are making ‘untracked’ conversions in store, so their online conversion rate only tells half the story. Our travel participants convert at 2% on average. 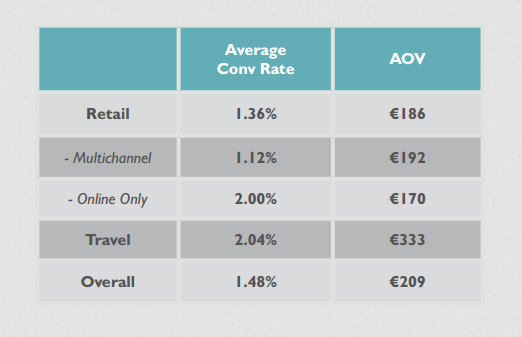 The Online-only retailer has a marginally smaller AOV of €170 than the Multichannel counterpart who averages €192. Travel websites are enjoying a much bigger AOV again with €333. When we compare these figures with our 2014 study we see that the average conversion rate has increased 10% and Retail Average Order Value has shot up by a stonking 25%! So how do your commercial metrics stand up against your industry benchmarks? How should you go about improving your critical cash-money numbers? The next section will give you a deeper understanding as to how other vital website engagement metrics influence your commercial metrics and will help you funnel your energies towards the most effective activities.